The house of “Chulo Vibes,” Nigerian rapper Timaya’s latest EP, has the tenant called “Pull Up.” Track, okay. And it is one of my favourites. In “Pull Up” Timaya pulls off a mesmerizing lyrical coup that should provoke applause among many of his fans if not all of them. To listen to this song is to jam along with it. It just so happens. Here, if you please, we have one of the best of Timaya. Timaya, who had spoiled himself with a MayBach last year, began the New Year (2019) as a feature on Kaha’s “Mariana.” He scored another feature role days later on Kcee’s “Erima.” And then he’d dropped the EP. Burna Boy, who recently clinched four awards at the Soundcity MVP Awards, had a remarkable 2018 and was recognized by YouTube as artiste on the rise. In fact, Nigeria’s pop star 2Baba had cause to call Burna Boy’s song “Ye” the biggest Nigerian song of 2018. The beat goes on for Burna Boy. He has got yet another winner. That winner is his collaboration with Timaya, titled “Pull Up.” Go get “Pull Up” and ravish the beauty that she is. 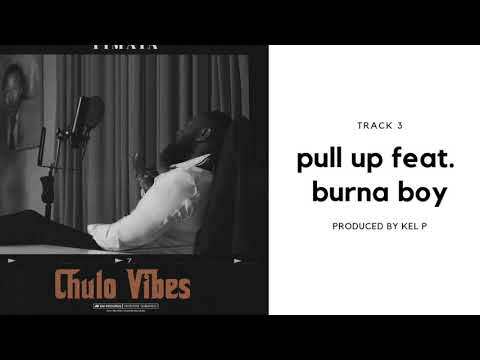 Simply stream an download “Timaya – Pull Up Ft. Burna Boy” below, share on social media and join the conversation by dropping your thoughts in the comment section.